Wayne Douglas Gretzky born January 26, 1961 played twenty seasons in the National Hockey League for four teams from 1979 to 1999. Nicknamed "The Great One", he has been called "the greatest hockey player ever" by many sportswriters, players, and the league itself. He is the leading scorer in NHL history, with more goals and assists than any other player, and is the only NHL player to total over 200 points in one season – a feat he accomplished four times. In addition, he tallied over 100 points in 16 professional seasons, 14 of them consecutive. At the time of his retirement in 1999, he held 61 NHL records. 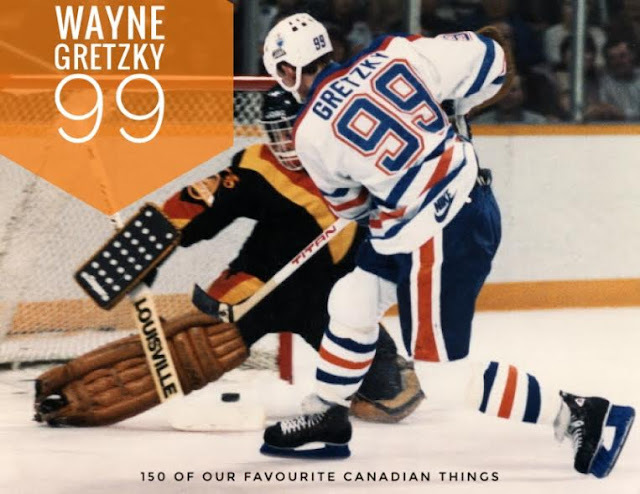 In 1978, Gretzky signed with the Indianapolis Racers of the World Hockey Association, where he briefly played before being traded to the Edmonton Oilers. When the WHA folded, the Oilers joined the NHL, where he established many scoring records and led his team to four Stanley Cup championships. His trade to the Los Angeles Kings on August 9, 1988, had an immediate impact on the team's performance, eventually leading them to the 1993 Stanley Cup Finals, and he is credited with popularizing hockey in California. Gretzky played briefly for the St. Louis Blues before finishing his career with the New York Rangers.